There is ample parking available. The park can be accessed by car, bus (Metrobus: T18, T14, F8), or bike trail. 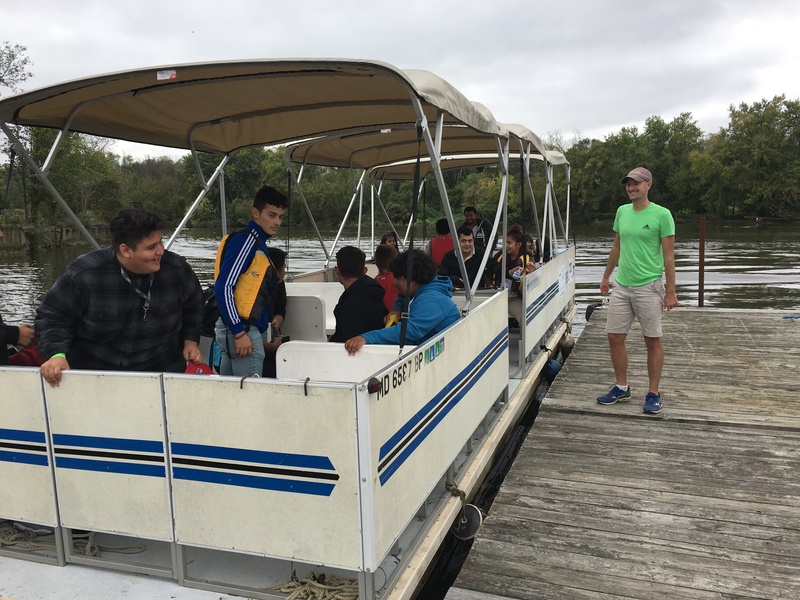 Description: Join the Anacostia Watershed Society to learn about the history of the Anacostia River, the threats to its health, and the progress towards its restoration on a pontoon boat tour in Spanish! What to Wear/Bring: Participants should dress appropriately for the weather on the day of the event. We recommend bringing a refillable water bottle (please no bottled water). You are welcome to bring refreshments aboard the boat, but please be advised there is not a restroom facility available. If you have any questions prior to the event, please contact Jorge Bogantes Montero at jmontero@anacostiaws.org or 301-699-6204 ext. 118. We look forward to hosting you on our hometown river!